Each one of our packages is stuffed with awesome that we offer to businesses of all shapes and sizes. Each package works to your budget and is laid out in the initial FREE consultation. We streamline the nitty-gritty so you can focus more on the physical running of your business with a no fuss guide. With the tools we provide not only you but others that handle your brand have a step by step guide to keep the brand in check, on track & unified across any and all platforms. Having an agile brand in today’s market is paramount! You need to be able to communicate a united vision across multiple platforms while still having visual impact and conveying the same values through varied media outlets. We work closely with you to ensure your brand message is clear and concise. 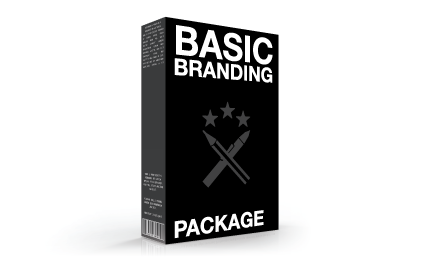 All of our band packages come with the first year of brand management included. After the first year it is then your choice to continue with a subscription based service for all ongoing brand management with a ‘no lock in’ contract. We also offer an extensive masterclass in Brand Management for small businesses wanting to enforce their own brand or to up-skill in-house staff in larger companies. This one-on-one training equips you with the skills needed to maintain a strong brand in today’s market. 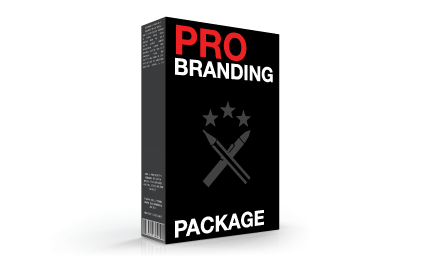 Ask us about Brand Management when you purchase our brand packages for more information. Whether you’re a sole trader, an excited start-up, big business or an established brand - Funk & Tall is here to shake things up and generate exposure with funk & flair! All of our brands also come with a digital style guide & online file library included as standard! $500 - Just the logo. But we all know it’s never just a logo, there’s always more to the picture than a pretty icon and a few words. This is quick & painless but that doesn’t cheapen the quality of what you get, it’s just not backed by the same strategy & planning that come with the other branding packages we offer. This one is for those that like to move fast & break things, one-man-bands & existing brands that just need a facelift. $1500 - The one your business needs. The package for the brand that strives for more. This package nets you a brand that just works. Solid, robust & agile. Building the foundation of your company from the ground up with strategy that is bolstered by extensive research & development. You will walk away from this project with a comprehensive brand, the knowledge to maintain your brand and the confidence to see it through and make it all work. So buckle up cupcake because we’re about to shake things up! This one is for start-ups, new businesses & emerging brands that need a strong public image. The package that’s silky smooth & everyone wants to touch. You get everything that comes with the Business package above but not only does it come with more love in the initial brand development it includes the first year of brand management. Thereafter the brand management is an annual payment that ensures your brand keeps up to date and performing strong as the market changes, the way you advertise improves & your brand culture evolves. 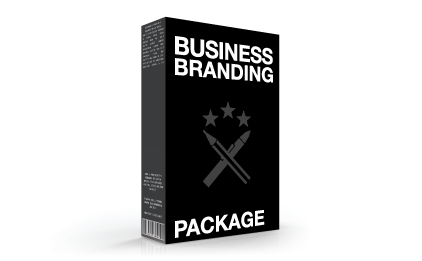 This package also includes a full website build and is tailored to suit your brand. Any shopping cart is hosted on the same domain and utilises your chosen payment gateway. More info & further inclusions are below. This one is for big, fresh start-ups, new or existing companies looking to don a tailored suit of the branding realm & retail brands wanting to make the move to online superstore for the big time. We work with you from the get-go, be it a completely fresh start-up yet to be named or an idea that’s already fleshed out just needing visuals & brand management, to ensure your idea comes to life and performs the way you need it to. Using strong research and development, sound strategy & tested methods we craft your brand to encompass eight components that ensures that you’re delivered an agile brand that’s strong and lasts. The Corporate Package entails everything you will ever need, we’ll probably even supply the coffee while we work our magic! Due to this the turn around can be varied depending on the project’s scope and how quickly we can generate content in tandem with our clients. This is not a quick process as attention to detail is needed and rushing a brand to market can lead to poor performance and failed market strategies. Have patience, believe & we will create you an empire!